Transcend's T.sonic player looks great but is it enough? The T.Sonic player weighs 45g, which is a shade heavier than the nano. With an organic LED display, a voice recorder and sculpted good looks, the Transcend T.sonic 820 has plenty going for it. The portable audio player market is a crowded one for sure, with firms new to the market facing particularly long odds against securing just a tiny share of the riches on offer. 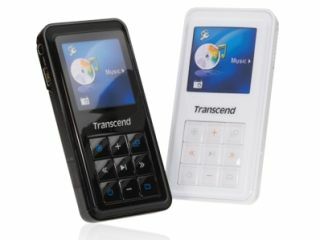 Even with that in mind, memory specialist Transcend has chosen now to join the fray in Japan with its T.sonic 820 flash-memory digital audio player (DAP). From the end of February Japanese shoppers will be able to pick up the attractive new player in either 2GB or 4GB configurations for JPY16,800 (£70.40) and JPY22,800 (£95.60) respectively. Apart from the ability to display JPEG and BMP images, audio support is limited to MP3, WMA (including DRM10 and WAV formats), which is a bit skimpy. For what it's worth, comparable iPod nanos cost slightly more and weigh slightly less, at just 40g.